Notice: I have considered myself part of the IBL community in mathematics since my first IBL conference in 2008. I currently serve on the Board of Directors of The Initiative for Mathematics Learning by Inquiry (MLI), a public nonprofit organization that supports this community of practitioners. The opinions expressed here are not necessarily those of MLI. Inquiry Based Learning (IBL) is a term that took on a specific meaning within the mathematics community in the 1990s when it was adopted by those attracted to certain aspects of the Moore Method. Two recent papers in the International Journal of Research in Undergraduate Mathematics Education help to illuminate the special role and the potential of IBL within our community. The first of these, “What’s in a name? Framing struggles of a mathematical education reform community” (Haberler et al, 2018), examines the sociological phenomenon of the IBL movement. The origin of this movement within mathematics was the effort by the mathematical descendants of R.L. Moore, led by Harry Lucas through his Educational Advancement Foundation, to preserve the legacy of Moore’s approach to mathematics instruction. Moore’s method was idiosyncratic. Best exemplified in graduate courses in topology, instruction began by presenting students with a set of definitions and a list of theorems to be proved. Students were responsible for working individually to prove these theorems without recourse to any supporting resources, including classmates. Class time was restricted to the presentation and critique of these proofs. Moore handpicked the students for his classes, and there were many notable successes, such as Mary Ellen Rudin, who would build on this experience to become leading research mathematicians. But pure Moore had many drawbacks, leading his successors to introduce variations that came to be known as modified Moore method. Those attracted to the inquiry aspects of the Moore method but wishing to distance themselves from his elitist approach and promote collaborative learning latched onto the term IBL, which had recently been popularized in the Boyer Report (1998). The Haberler article describes the process that has led to today’s vision of IBL in mathematics. It clarifies that, while it did not originate from educational research, its practices are generally well aligned with research and there are good pedagogical foundations for an inquiry-based approach to learning. What makes it special is its development as a social phenomenon, bringing together those who have discovered the power of student-centered and active learning approaches to undergraduate mathematics instruction. It now embraces a “big tent” that is characterized by a willingness to cede large chunks of time from lecture so that students have structured opportunities within class to explore concepts, investigate key ideas, and build understanding through inquiry. The second paper, “I on the prize: inquiry approaches in undergraduate mathematics” (Laursen and Rasmussen, 2019) iterates the observation from the first paper that IBL did not arise from within the research community for mathematics education. The authors contrast it with Inquiry-Oriented Instruction (IOI), which did. 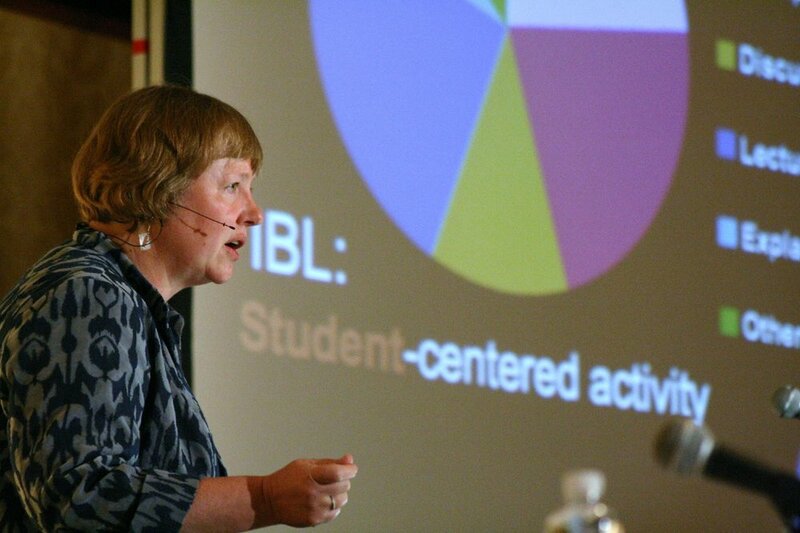 While IBL has become a social movement for a wide variety of practitioners of student-centered learning, IOI is strongly rooted in the discipline of research in mathematics education, drawing directly on educational theory to explore student thinking and build activities that seek to address common difficulties. Students engage deeply with coherent and meaningful mathematical tasks. This falls directly in line with the definition of active learning adopted and promoted by the professional societies in the mathematical sciences, “classroom practices that engage students in activities such as reading, writing, discussion, or problem-solving, that promote higher-order thinking” (CBMS, 2016). Students collaboratively process mathematical ideas. Instructors inquire into student thinking. Instructors foster equity in their design and facilitation choices. IBME has enormous potential to improve mathematics instruction. It seeks to bring together the community of practitioners who have discovered student-centered and active learning as a means of improving the outcomes of their students with the community of researchers who seek to further our understanding of which approaches should be most successful for which students. For a sense of what this community looks like today, there is no better illustration than the page of IBL workshop leaders at http://www.inquirybasedlearning.org/workshopleaders. Laursen, S. L., Hassi, M. L., Kogan, M., & Weston, T. J. (2014). Benefits for women and men of inquiry-based learning in college mathematics: A multi-institution study. Journal for Research in Mathematics Education, 45, 406–418. https://doi.org/10.5951/jresematheduc.45.4.0406.